While we were renovating, I kept several words in mind to help keep me on the right path. 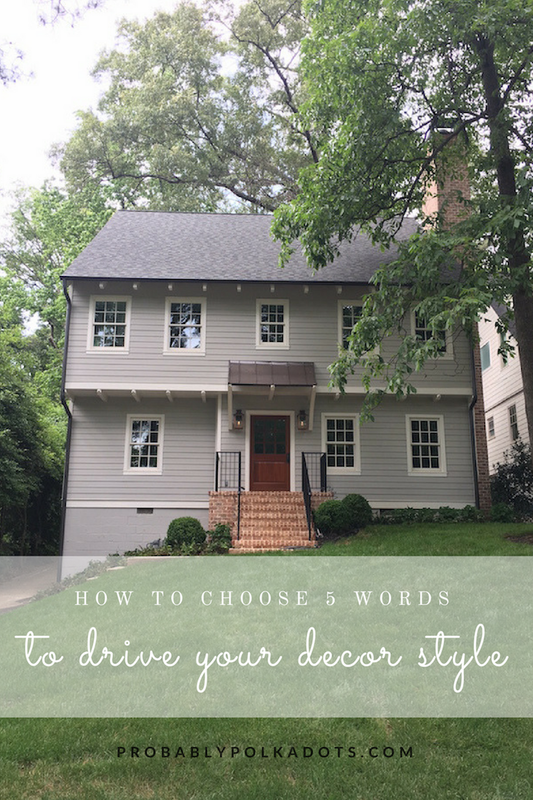 It can be incredibly overwhelming to choose finishes, fixtures, paint colors, and all the other home fixings, but by keeping those words in mind, I was able to narrow selections a lot easier. 1. Start by going through all of your inspiration images. Yes, all of them. That means pouring over your Pinterest boards, the magazines you've been hoarding, and those saved images on Instagram. What words would you use to describe it? 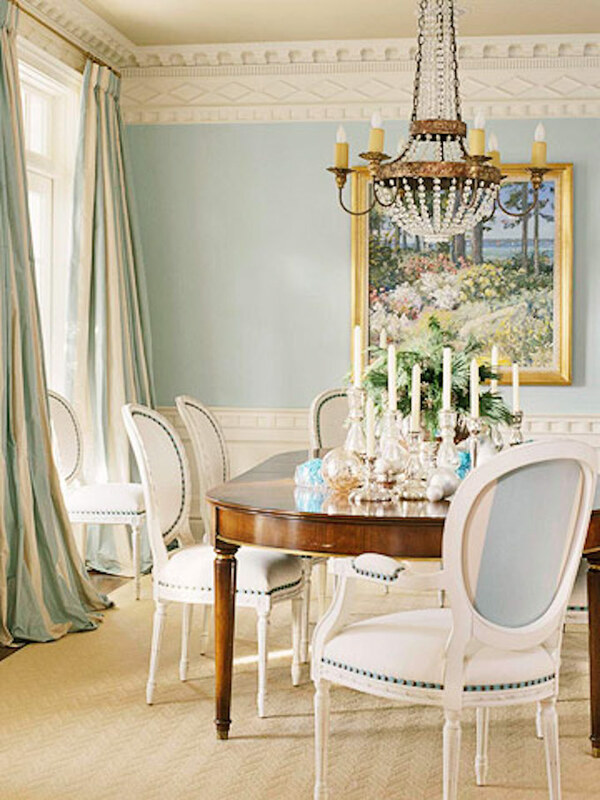 For me, words like classic, timeless, colorful, serene, preppy, French, and fun all come to mind. Essentially, do this step for several rooms/photos that you love. Write down as many words as you can. 3. Next, go through your list of words, and circle the words that pop up again and again. If you wrote it down more than 2-3 times, circle it darker (or highlight it or make a new list). 4. Finally, narrow down your words to your top 5. Make sure these words are not only the ones that were the most prominent, but are also the ones that speak to you! No use having words on there that don't actually describe what you like. Want to know what mine were? As I chose hardware, fixtures, tile, and even paint colors, I kept coming back to these words. Now that I've shifted my focus from finishes to decor, I'm doing the same thing. Each decision that I make, I pull my list out. Does the lamp, rug, artwork or piece of furniture fit into one (or all) of those words? If not, I leave it behind. Sure, I can still love it, but I know that it's not necessarily the right fit right now. Not only does this keep my house consistent, but it keeps me focused! Plus, when I speak with store associates or design professionals, I can easily describe what I'm looking for. Give it a try, and let me know if you do! I'd love to hear your words.